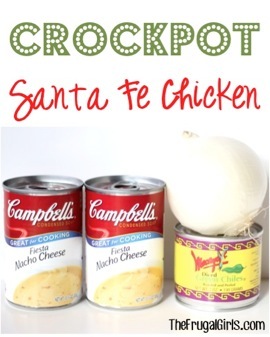 Go grab your Crockpot… I’ve got another delicious and seriously simple Easy Crock Pot Recipe for you! 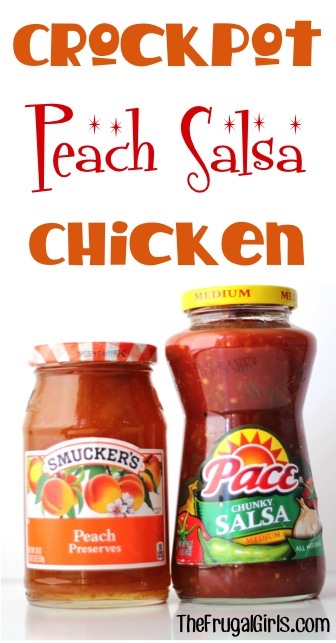 This Crockpot Peach Salsa Chicken Recipe is so easy and SO yummy! 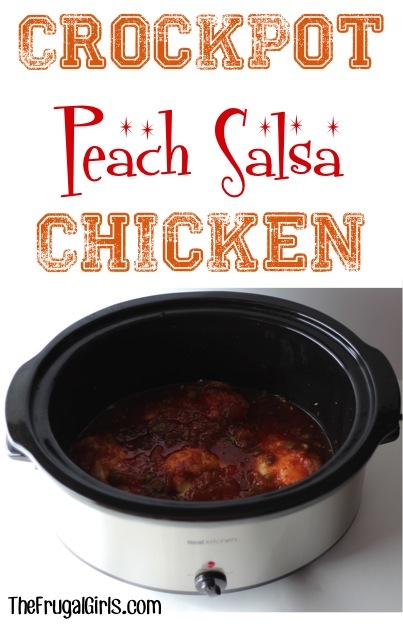 You're going to fall in love with this Crockpot Peach Salsa Chicken Recipe! It's perfect for Summer, Fall, Spring and even Winter! That’s it… now wasn’t that easy?? 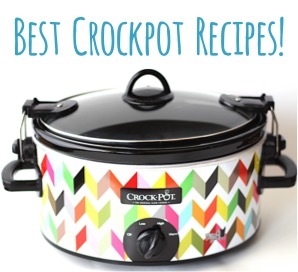 😉 There’s no wondering why Easy Crockpot Recipes are my favorite recipes! 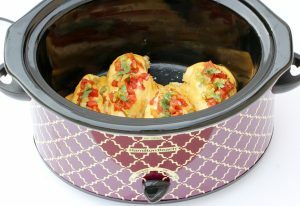 On the hunt for even more delicious and Easy Crock Pot Recipes?? Here are more I know you’ll LOVE! The chicken became so soooooft and insanely tasty! Hello, i just wanted to say i love all ur recipes. 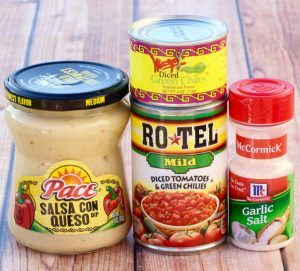 They make shopping on a budget so easy and flavorful at the same time. 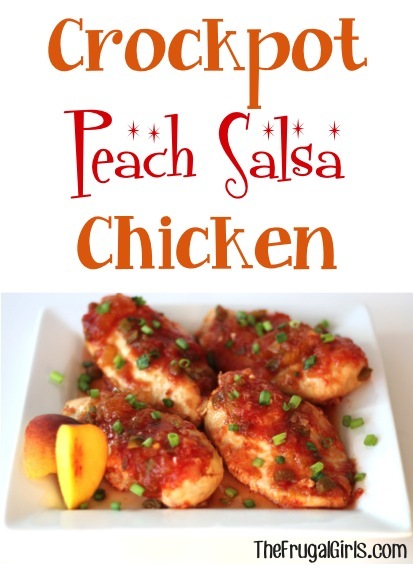 The peach salsa chicken was a huge hit in my house, my 13 yr old son went crazy for it. I went the extra mile feeling a bit ambitious lol and used my cast iron grill pan to sear the chicken for 3 min each side so it had that grilled flavor the cooked on high for 2 to 3 hrs. 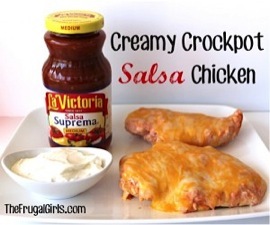 Topped with cheese, sour cream and green onions, wow great meal and super cheap to make. Keep pinning :0) thanks . Just wondering how does this taste. Is it very spicy?? 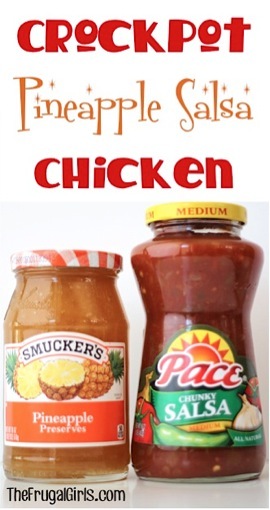 Any idea how I should adjust the times if I use thighs instead of chicken breast? 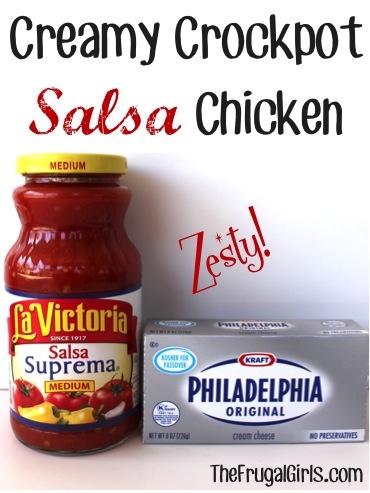 Do you think you could use these same ingredients with frozen meatballs instead of chicken? I am having cheese and green chile tamales and it would be nice to have a meat dish to go along. That way the vegans and the meat lovers would be satisfied. 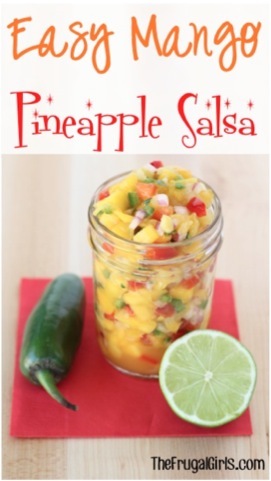 This recipe is great!! Thank you. Can you use sugar-free products? Hi Valerie ~ I haven’t tried with sugar-free products, but if you do… let me know how it turns out! It turns out fine with sugar free peach preserves! So glad to hear that… thanks for letting us know! I’m just curious how you serve it. 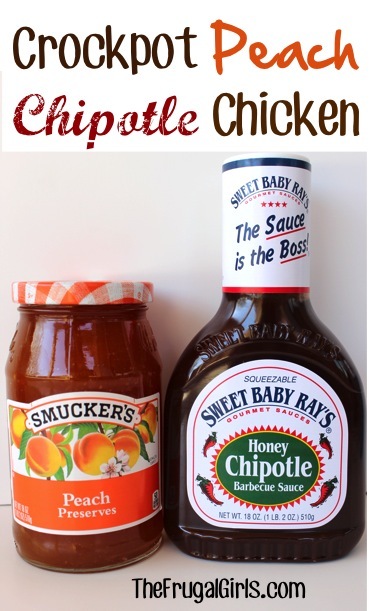 Do you serve it over something, or what sides would go well with it? It sounds delicious! 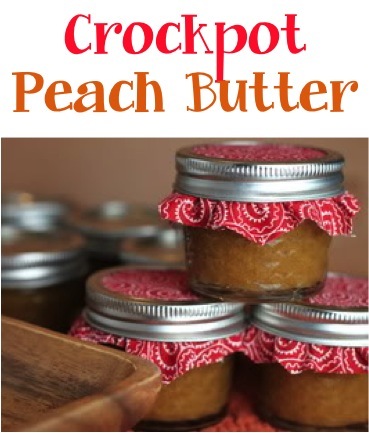 Peach preserves are a jelly product. It’s basically jelly that also has fruit chunks in it. Look for it in the jelly section of the grocery store. It comes in other flavors, not just peach. 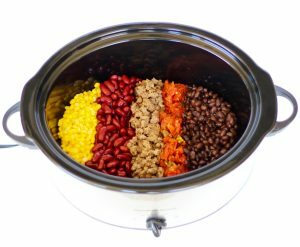 Do you put water in the crockpot with the chicken? Or just the chicken by itself? 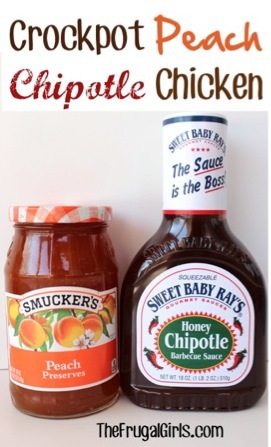 I guess you can tell I don’t cook often, but I’d really like to try this!